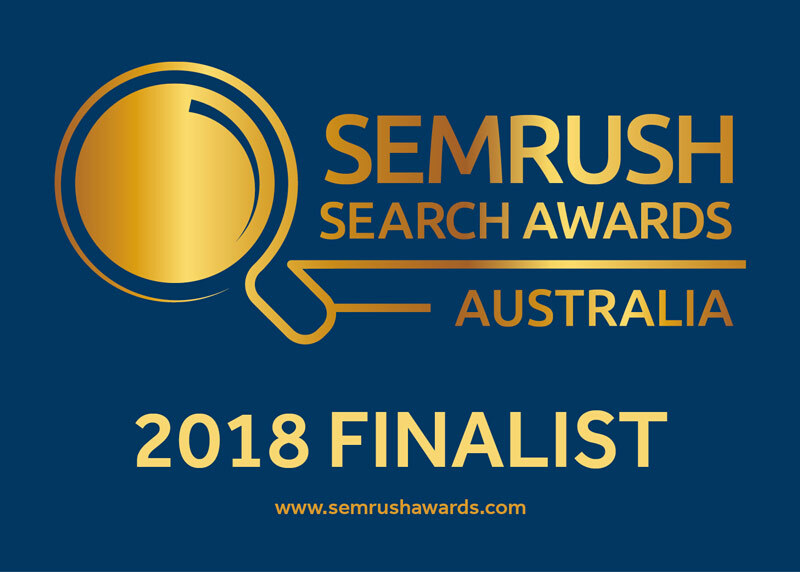 Perth's Living Online Shortlisted as Finalists in SEMrush Search Awards! Hot on the heels of our nomination as a Finalist in the international Search Engine Land Awards, Living Online has been shortlisted as Finalists in the 2018 SEMrush Search Awards in three categories! Being recognised by one of the biggest players in the digital marketing industry worldwide is a tremendous honour. Our client base is as diverse as the categories that we are being acknowledged for and to be shortlisted as one of the best agencies in Australia is a testament to the hard work we do across the board. For a campaign that has excelled in driving growth, visibility, traffic and revenue numbers by optimising for local search. Gino’s Panel and Paint are a local auto repair centre specialising in insurance claim accident repairs for the south west metropolitan area. In November 2017 Living Online built a new website and created a new brand strategy. The creative and language used in the advertising, content, and metatags, pushed the identified USPs out to market that “We Get You Back On The Road Faster!” with their rapid repair technology. Also integral was the key messaging of “We Care”, distinguishing them from the negative perception of some of the competition in the local panel beating industry. The objectives for the new Gino’s website were originally to increase brand awareness and highly qualified insurance claim repair bookings. A multi-channel marketing strategy was employed to reach the local market at multiple touchpoints, all serving to generate relevant traffic and support the SEO and local search strategy. We have achieved excellent results in creating sustainable and qualified lead generation at the desired level, as well as building their brand awareness among their local target market. As a result of this, Gino’s has also become a finalist in the “Digital Excellence Awards Category 2018 of the Paint & Panel Bodyshop Awards 2018”. Recognition of a campaign that has successfully enhanced the visibility of a website working in eCommerce. Wardrobe Fashion are an online reseller of branded clothing for stylish women, focusing on the Australia/NZ market. Our objective was to help a company who had previously only focused on their four brick-and-mortar stores best utilise the online space to turn their e-commerce efforts into a revenue making machine. Our strategy was to use search to drive our target audience to the website and convince the target market to either purchase immediately or become newsletter subscribers, as we knew from research and data analysis that their email subscribers had a high customer lifetime value. To do this, we focused on search and highly targeted messaging which resonated with the audience. We have generated a fantastic ROAS through both first-click and last click attribution and to date have produced a ROI (media and consulting spend) of 566%. Recognition of best performing agency that consistently delivers outstanding digital marketing results to clients. 1. HotCopper – Australia’s largest stock market forum. For increasing organic sessions, overall sessions and ranking organic keywords through exceptional SEO services. 2. Gino’s Panel & Paint – local auto body shop in South Fremantle, WA. For increasing awareness and enquiries by targeting only highly qualified leads. 3. SC-Project Oceania – the Australia/NZ distributor of world-famous SC Project performance motorcycle exhausts. For gaining the #1 position for the brand name and key motorcycle exhaust terms. 4. Wardrobe Fashion – eCommerce reseller of brand-name clothing to women in Australia & New Zealand. For providing strategy to assist in developing a strong organic search presence for both the brands and style of clothing available, whilst increasing traffic, transactions and revenue. The winners will be announced at a gala awards ceremony on 23rd October 2018 at the Sydney Opera House. Wish us luck and follow our journey on Facebook or LinkedIn or contact us directly to find out how we can help transform your business.